We provide IVF and ICSI at the Bristol Centre for Reproductive Medicine (BCRM), which consistently has highest success rates in the county. We provide a full range of fertility treatments, from drugs, ICSI / IVF and IUI for Private and NHS patients. We undertake Assessments and Tests to understand why you may have problems getting pregnant. We have regular Patient Open Evenings. Attend to find out more and have a free mini consultation. We appreciate that facing Fertility problems can seem overwhelming. Our purpose is to help you achieve the best chance of having a baby in a safe and caring environment. The Bristol Centre for Reproductive Medicine is a Private Fertility Clinic with world class facilities and technology that treats both self funded and NHS patients. Our friendly and dedicated team is led by Dr Valentine Akande – a Consultant Gynaecologist and Fertility expert with an outstanding international reputation and more than 20 years of specialist experience. Our affordable service is built on a foundation of trust with integrity and transparency at the heart of our care. We personalise your care to focus on your individual needs. We are world recognised experts, involved in innovative research and have one of the best success rates with IVF and other Fertility treatments. So whatever stage of the journey you are at – whether you need Advice, Investigations or Treatment – you’ve come to the right place. BCRM is the only Clinic with a Laboratory in Bristol that has longstanding validated results. We offer treatments such as IVF to both NHS and Private patients. All treatments take place in the same convenient Bristol location with parking available just outside the building. We are here to deliver outstanding, personalised care and aim to be the first choice for fertility advice and treatment. Our Bristol Fertility Clinic at the Southmead Hospital is led by internationally recognised fertility experts and supported by a highly skilled team. Our highly professional team is friendly, discreet and efficient, ensuring your experience with us is as stress-free as possible. We are here to deliver outstanding, personalised care and are the first choice for Fertility Advice and Treatment in Bristol. Our service is led by an internationally recognised Fertility experts and supported by a highly skilled team involved in Research as well as Training other Fertility professionals. Our treatments are Affordable and Evidence based. 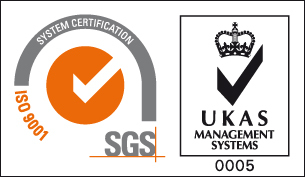 We are regulated the HFEA and take extra steps to ensure we have a top quality management systems which is why we have ISO 9001 accreditation as well. Finding the right clinic for advice, investigation or fertility treatment can be daunting but by choosing BCRM, you are giving yourself the best possible chance of a successful outcome. BCRM provides treatment to both Private and NHS patients, and is the longest serving Fertility Clinic in Bristol. Our success begins with our team of leading specialists and our motivation for doing the best for you and working together are what drives us. We are proud of our excellent success rates which have consistently been one of the highest in the country. Your initial consultation at BCRM is the first step in your journey towards a successful outcome. Find out more about what to expect from your first visit.